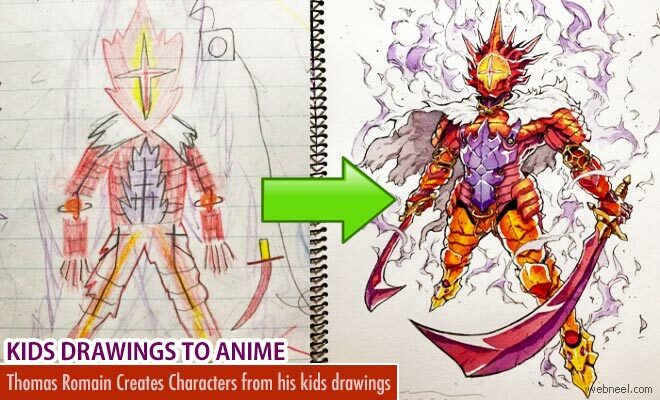 The scribbling of the children finds nothing to the world but to Thomas Romain it meant a lot who gave his professional touch and created Anime characters through them. 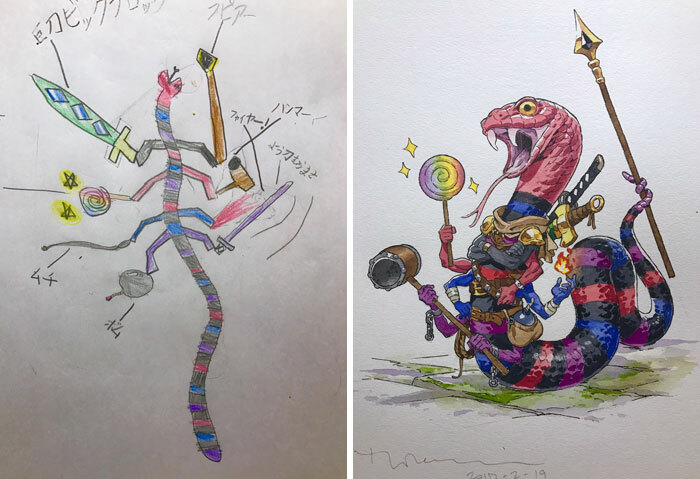 Thomas Romain is French animator who lives in Japan, who contributed in various capacities to anime series including Aria, Basquash!, Symphogear, and Space Dandy. 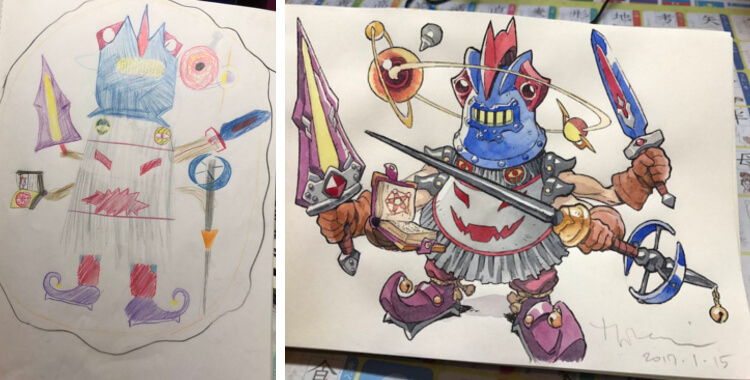 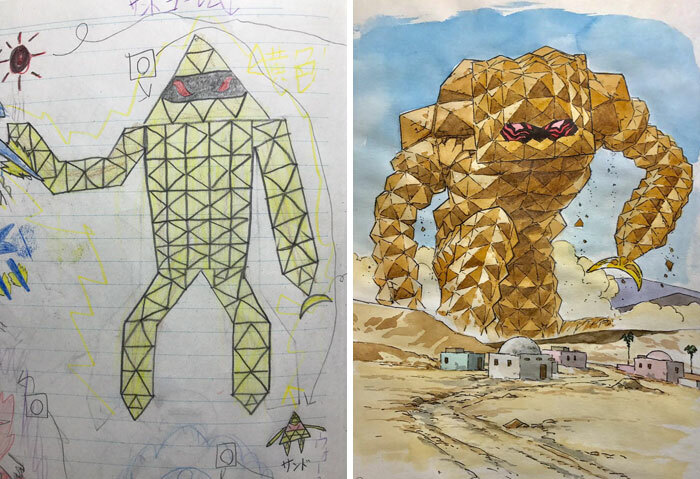 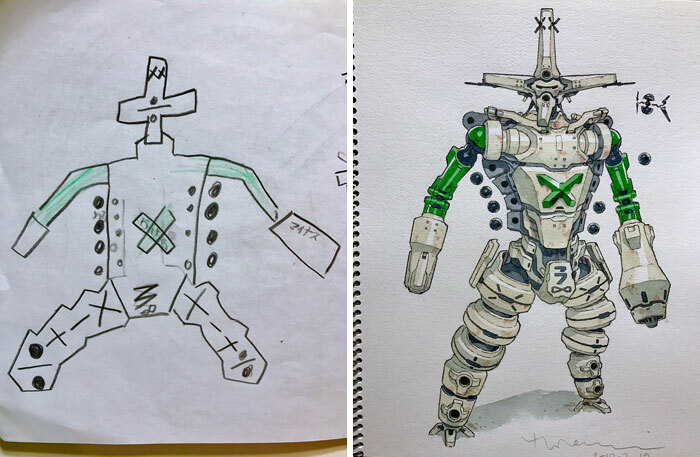 The first work came up when his older son came up with a sketch of monocular alien,which Thomas added flesh and finished it. 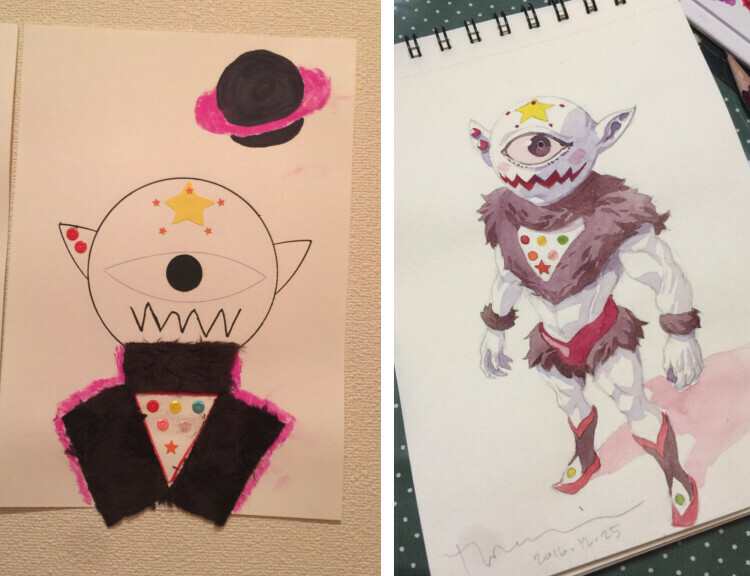 Basically, a mixed media sketch composed of markers, stickers, and a fuzzy fabric, the piece was modified by Romain into an expertly shaded watercolor illustration. 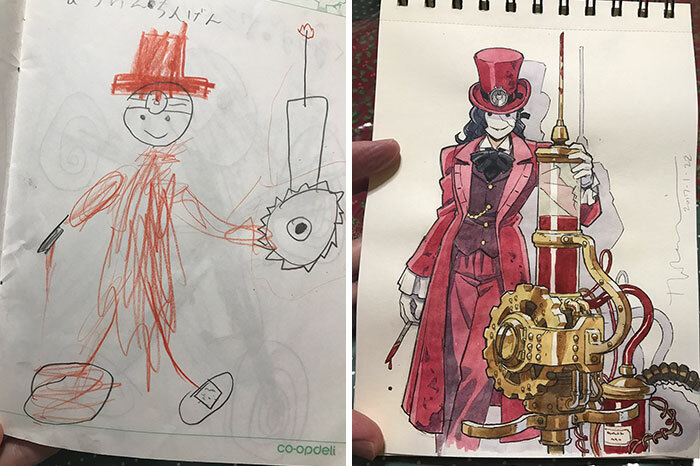 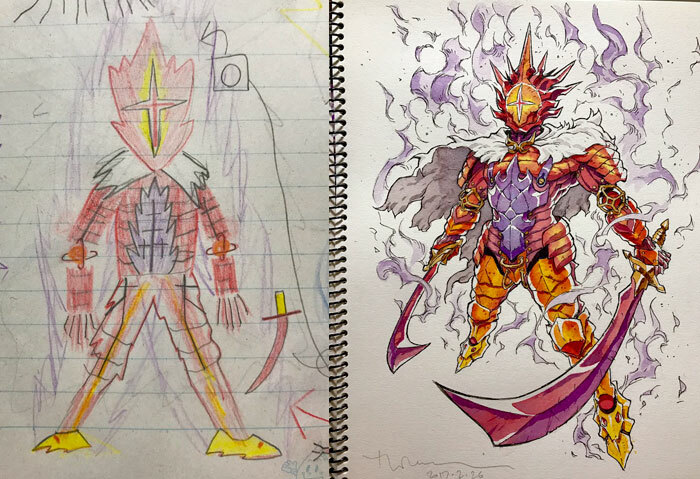 The cyborg-space opera anime,multi-armed magic knight, steampunk doctor,cloud dwellers, tulip brothers,fire guardian,snake fighter are few anime characters to name among the father and sons design workshop. 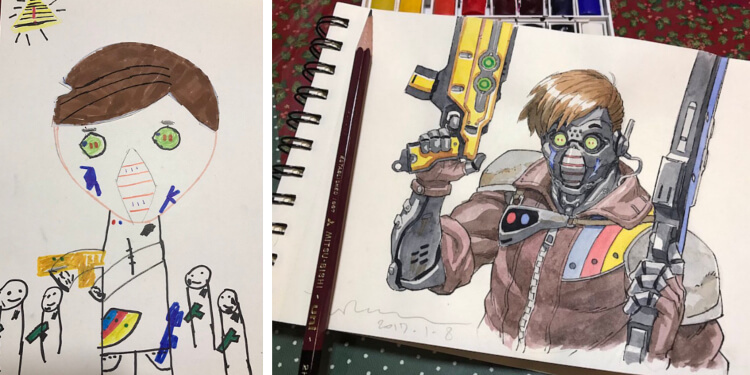 Thomas is main creative behind the Franco-Japanese animated series, Oban Star Racers,which gave him a good start as an animator in Japan.